Today was a free day for families and individuals to experience whatever activities they wanted. 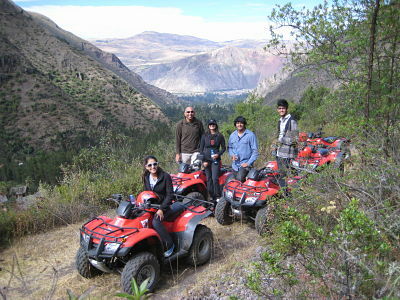 Several people chose to ride ATV’s through the scenic mountains. 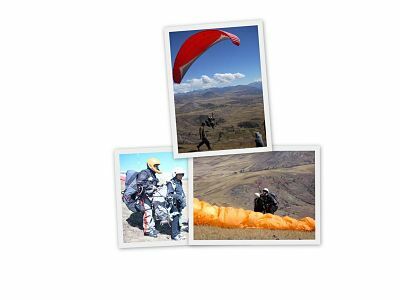 Others chose to try paragliding, but since it is dependent on wind conditions, only one person actually took off and enjoyed the thrilling ride from the mountain top to the valley. Another group of people decided to go shopping for local arts, crafts and everything Alpaca wool. The local Pisac Market is open on Tuesdays, Thursdays, and Sundays and definitely offers a huge variety of Peruvian handicrafts and textiles for a bargain. Supporting the local vendors is yet another way of giving back to their community. Our tourism dollars allows them to earn their living. Some people took the opportunity to tour the Moray ruins, the agricultural terraces with their complex irrigation system and natural green house effects which allowed the Incas to grow an extraordinary variety of crops at that altitude. Nearby was another interesting site called the Salineras or The salt mines where 3,000 pools produce all the salt consumed in the region. It was interesting to learn about the way the land is cultivated and utilized by the communities. 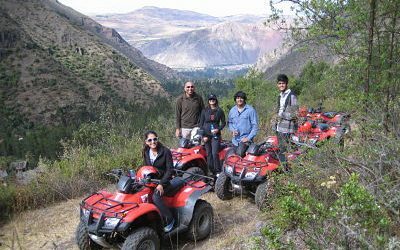 Now that we’ve spent a couple of days enjoying the scenary and activities in the Sacred Valley, we are ready to go to Cusco and get busy with another couple of days of service projects.